One of the lightest and smallest regulators on the market. Similar to our 0621 series Mini Regulator, except with dual inlets. Fuel pressure is adjustable from 50 to 75 PSI. 1:1 rising rate, boost compatible. Comes with -6AN inlet/outlet fittings. 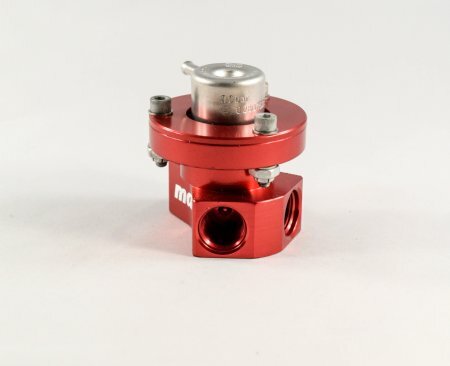 This type of Marren designed,and engineered, fuel pressure regulator is used in Grand-Am DP, Grand Am Continental, and ALMS Porsche race cars.